This kit will make you a pair of professional candle clip lampshades from the covering of choice. Design to match your upholstery, curtains, carpets, wallpaper or room theme. We supply everything you need apart from the covering, any piece of textile or wallpaper can be used. 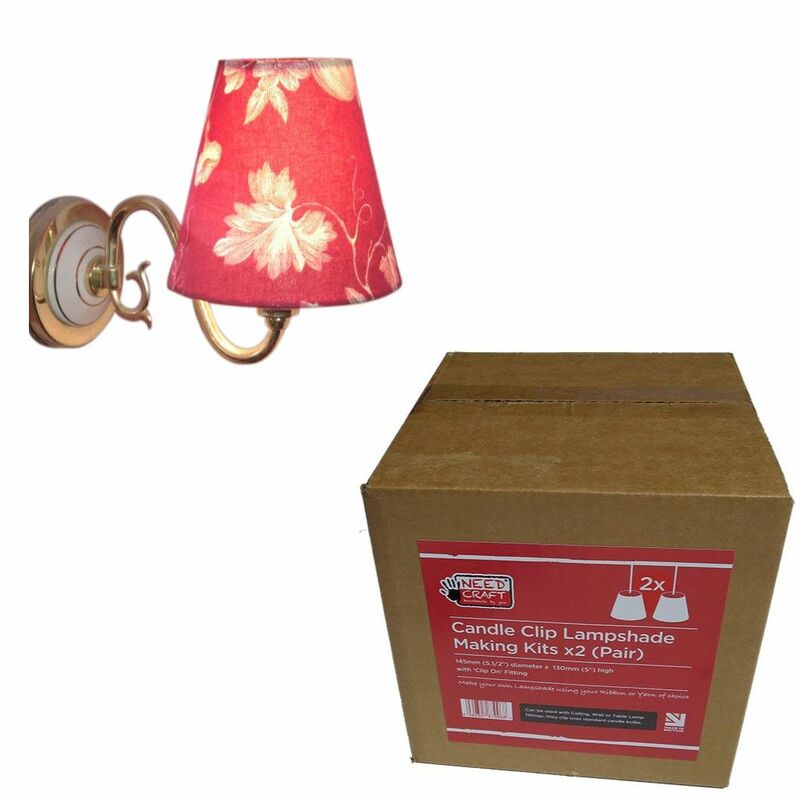 The lampshades can be used with Ceiling, Wall or Table Lamp fittings, and they clip over standard candle bulbs. After the shades are made they will clip onto any regular candle bulbs. 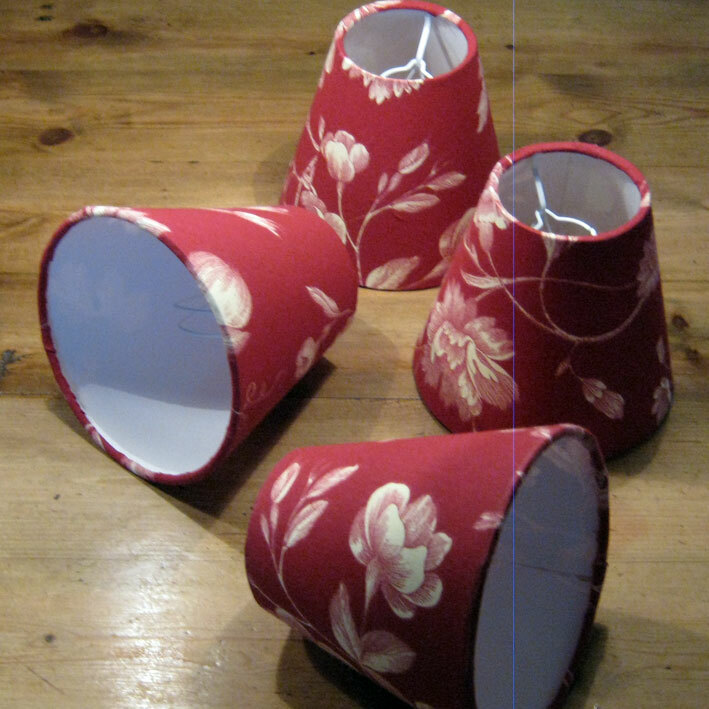 Your covering needs to be 450mm x 240mm to make each lampshade. Enough materials to make two lampshades, parts list below. 2 x Self-adhesive lampshade panels with 13mm kiss cut. We recommend the use of low energy candle bulbs with your lampshades. They use less energy and are cool to the touch, avoiding the problem of scorching shades and ceilings.